I finally got myself a blog! Well, I guess technically I already had a blog. But with this one I can add photos and do all sorts of fun stuff that my blog at LouderThanWordsBooks didn’t want to let me do. For those of you who read the latest in my life on that site: have no fear for I shall be updating it with the posts I have here. You just may be left without the photos. Which means that you should all travel over here and join me at the blog that is sure to be full of all sorts of fun and excitement. So due to my blog related frustrations lots of exciting things have happened to me that I didn’t post. Stuff like getting to see Tamora Pierce in Portland! Okay, so I have been hooked on her books since elementary school and I was a little concerned that I’d see her and think, oh, you were so much cooler in my head (insert sad sound effect here). But I was not disappointed in the least. Turns out Tamora Pierce is even funnier in person than I had hoped to imagine. Hooray! She gave really entertaining tips to writers. My personal favorite was when she admitted to using multiple baby books to help name her characters and then suggested that people create their own fake covers for them. I’m sure if I started carrying around a baby naming book with me at Lewis & Clark College my friends would sit me down for a very serious conversation. Awkward. 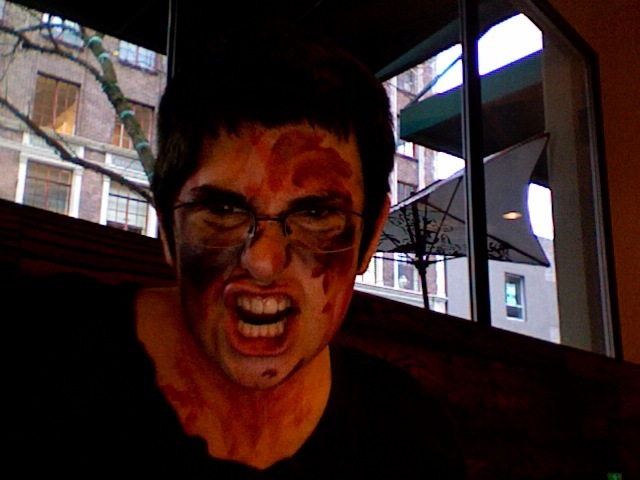 So after listening to Tamora Pierce discuss fantasy I got to test out life as a zombie! That’s right: a zombie. I happened to be downtown on the day that Portland was taken over by the undead (commonly known as the Zombie Walk). I didn’t plan on joining in but much to my surprise I recognized a handful of them and before I knew it my face was covered in blood and I was groaning in pain and limping like . . . a zombie. Never try to keep a zombie away from her soy mocha frappachino! The baristas at Starbucks were totally cool about serving a member of the undead too. They just nodded and asked how my essay had turned out and what I had to work on that week. Now jumping on the fast forward button of everything you have missed . . . I just turned 21! And no I did not go to a drinking establishment the second I became of age to legally consume alcohol in the U.S. It seems sort of silly to go over the top with the drinking for your 21st birthday. Isn’t that essentially saying, I am so excited to drink anywhere I want that I’ll chug it down until I never want to do it again! Woohoo! Actually, I spent my birthday weekend curled up in bed with a bag of homemade cookies my cousin sent me and a romance novel from my mom. Best. Birthday. Ever. And then the next weekend I went out for a lovely night on the town with some friends. Does it look like I tried to apply lip gloss on a moving subway car? Because that’s what I did. So with the excitement of authors, zombies and a girly drink called a Mackenzie Rose (I ordered it because the first name is that of my protagonist and my middle name is Rose. It seemed meant to be!) you’d think I’d be ready to wind down this blog post. But wait! The best is yet to come! I have a 3 BOOK DEAL WITH KENSINGTON (TEEN)!!!!!!!! I get to work with the fantastically wonderful editor Megan Records and my novel AWKWARD will be released Spring of 2012. In the meantime I am working on the sequel and trying to concentrate on schoolwork. Can I just say that it’s really hard to focus on writing essays for English classes when all you can think about is how the dream you have wished upon way too many stars (And birthday cakes. And clocks at 11:11) is FINALLY COMING TRUE! Erg, James Fenimore Cooper why must you taunt me so! Anyhow, I want to take a moment to thank you. I’m guessing that if you are reading this it is because you want to know what is going on in my life/ care about me. And I really appreciate the support. Writing, confronting the blank page, is never easy even on the best of days. Knowing that people believe in me takes a lot of the scariness out of what I do. And on that note I should get back to studying! 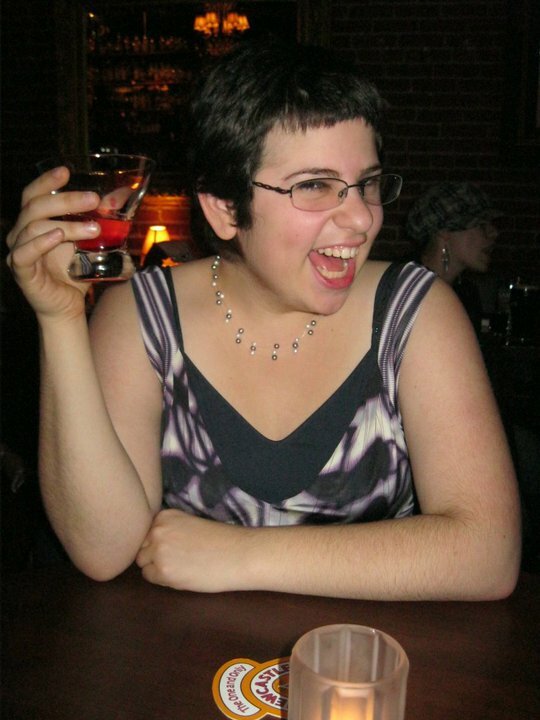 This entry was posted in Awkward, College, Writing, YA Fiction by Marni Bates. Bookmark the permalink. We met at the Wilamette Writer's Conference during the first group pitch section. I sat next to you as we pitched Melissa Fleschmen (last name is a blur). I was so impressed with not only your fabulous concept but also your poise. You've been on my mind recently as I tried to figure our whether or not a). you signed with Laurie Mclean (I hope!) and b). you sold your book. Today I came across the “Marni” bookmark you gave me…and I've finally been able to track you down. Ah, hello?? A three book deal?? I…AM…SO…EXCITED…FOR….YOU!! Congrats you rock star. Can't wait to read them, and then watch them on the big screen. No doubt you're negotiating that deal right now. I got an agent from the conference as well, and she'll begin pitching my proposal in January (I was the only non-fiction at our table). I've spent the last few weeks trying to build my on-line audience to help her with her pitch. Can't wait to see if she can sell it. Glad to have finally found you, and to hear your unbelievably fantastic news. Enjoy Thailand, I worked in Asia for many years, and loved Thailand! Three? A three book deal? Woot woot. I am thrilled for you.